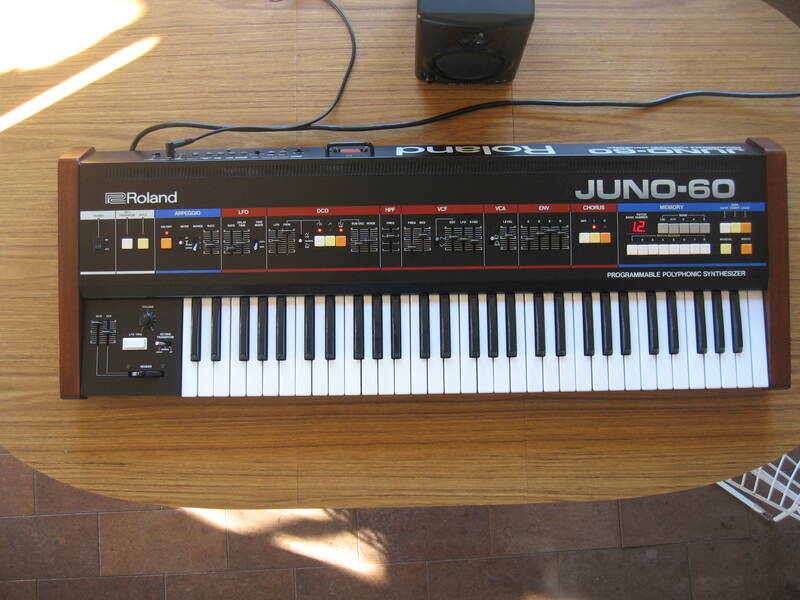 Roland Juno 60 part 11: What ever happened to it? 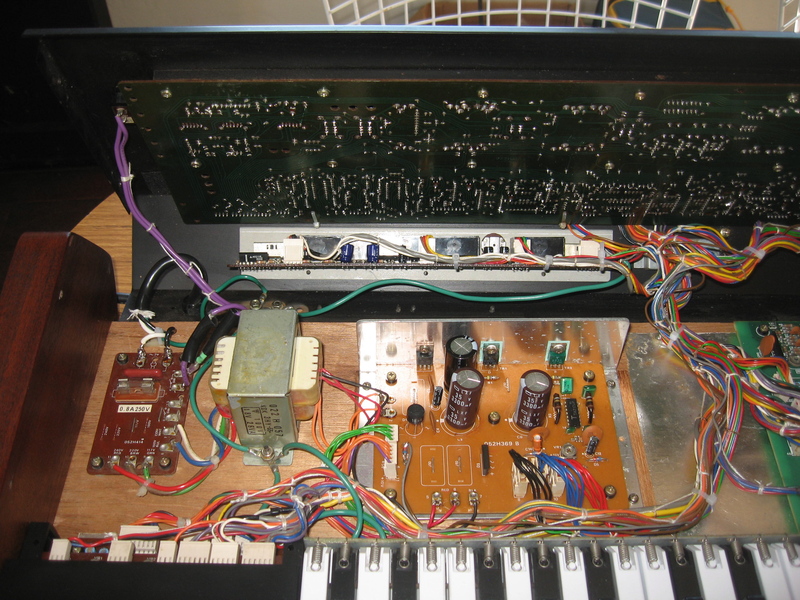 I got a few questions about the final result of my efforts on the Juno 60. Well? I got it to basically function. One voice had some issues that I couldn’t solve, but a trip to my friend Chris at This Old Synth got it to 100%. 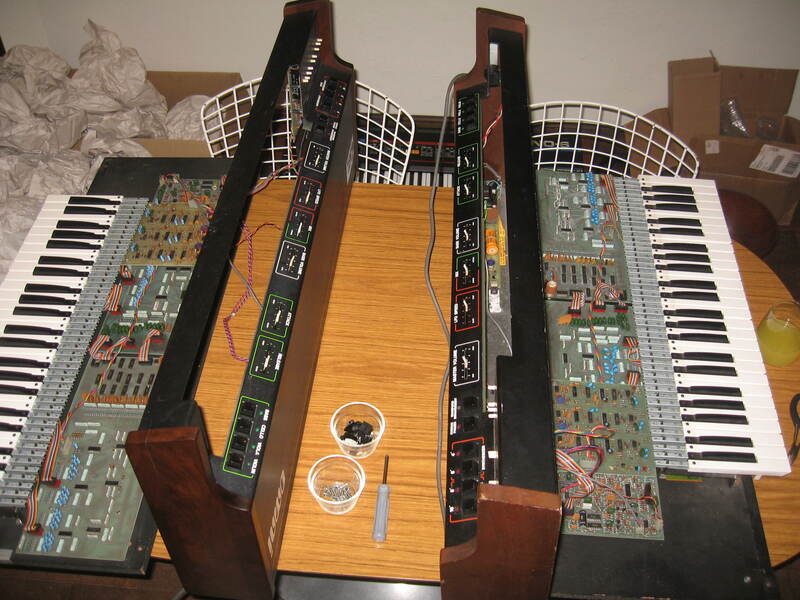 I messed with it for a few months and decided that I didn’t need another big Poly sitting beside my Jupiter 6 and others so I sold it on eBay. Here it/he/she is. The wood sides came out amazing, the sound is/was fantastic, and some lucky guy paid me just under $900 via eBay for the chance to own it. I didn’t mean to get side tracked, but life does that to you some times. I just read through the nine posts I did about restoring this thing and realized I created one of those internet dead ends we all hate so much, where the guy is reaching from the top of the ladder to a woman who’s hanging out of the window of a burning building… well, not that dramatic, but I did leave the reader wondering what the hell happened. The panel: the panel that you see in post one, with all the paint and scratches and glue and stars… I replaced that with one I got from Doug at Synthparts that only had a few very small scratches and a tiny dent. The circuit boards: All my parts eventually showed up after about 4 weeks and it went together. I didn’t get any pictures of the soldering process, but who cares right? One of the voices had some trouble so I eventually sent it to Chris at This old synth who sorted it out. I still long for a good oscilloscope. The keybed: I never got the original keybed to work very well, always had some glitchy keys, so I bought a Roland Piano Plus 11 that used the same keybed -which happened to be in perfect condition. I’ve got some instruments and if you are here reading my blog about synthesizers, you probably do too. I have noticed that in many of the worlds of collectable stuff, the function and purpose of the stuff seems to take a secondary meaning to the acquisition and ownership of the stuff, with vintage musical instruments -synthesizers included- being no exception. In the spirit of appreciating synthesizers for their intrinsic capabilities, here’s a cover song by my band. The original was written and recorded by Mute records founder Daniel Miller for his ‘Silicon Teens’ project. Instruments on this track include: Moog Source, Roland SH-1000, Sequential Circuits Prophet 600, Roland Jupiter 6 and others. 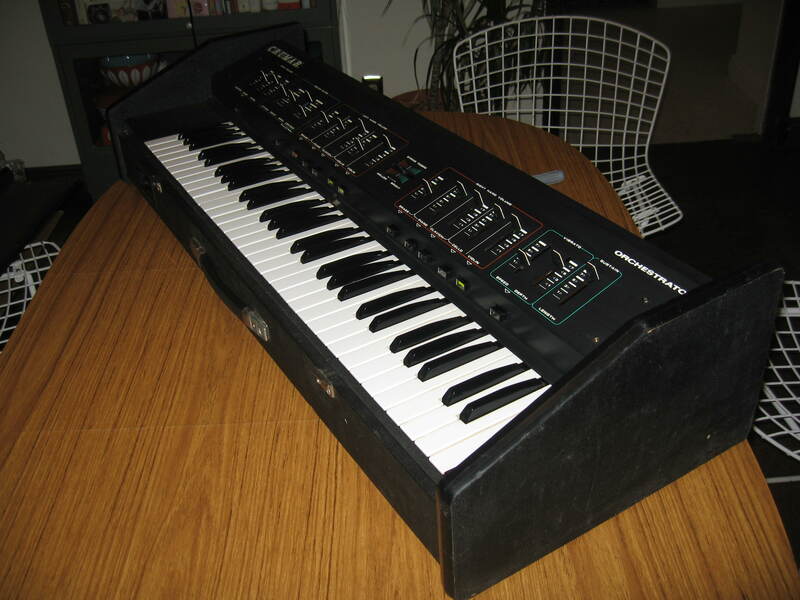 I’m moving and in addition to not wanting to move a bunch of keyboards, I could use a little cash so I put my Japanese market RS-09 version 3 ‘Organ and Strings’ synthesizer on eBay. Basic ‘It works and sounds great’ estate sale find descriptions after plugging in headphones and touching a few keys do not apply here. This unit has been serviced by a tech to fix a faint continuous C# (couple of capacitors) and stubbornly noisy volume pot (new pot). Since servicing it has been used on several recording sketches and performed flawlessly. Clean, attractive and ready to make music. Buttons and slider caps are the same as Jupiter 8.